We are super excited for Fenix's release of a 14500 battery with a built-in protection circuit. 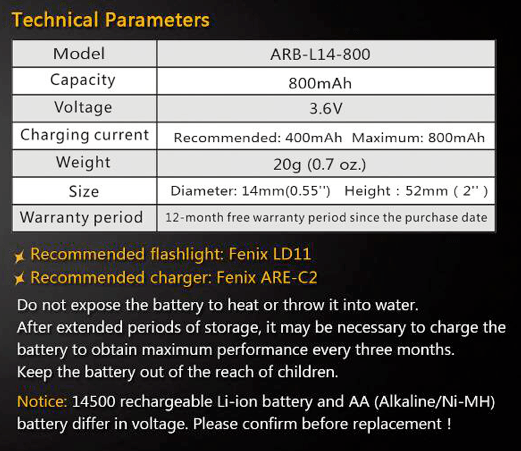 As with all Fenix products, you have the assurance you are getting the highest quality possible in this new battery addition. With multiple layers of protection, you can expect 500 charge cycles. 500 charge cycles can be expected from a properly maintained battery.